Danielsen, Henrik. 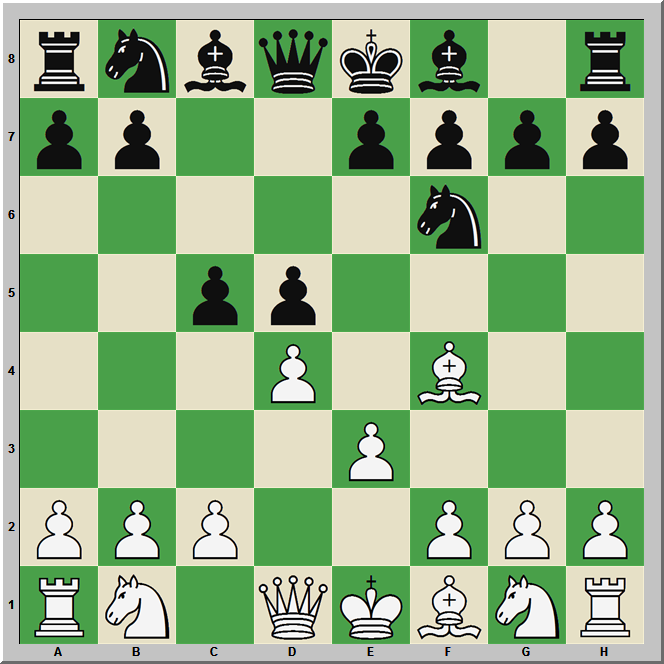 Pressing Straight Away: The London System 1.d4 d5 2.Bf4. Digital download available from Chessbase or your favored chess seller. €9.90 at Chessbase.com; roughly $13.50 USD. After the semi-debacle that was the US Open, I decided that I needed to change my opening repertoire and my approach to the opening. I played 1.d4 years ago as a rank amateur (ha!) but turned to 1.e4 in recent years, thinking that I could force myself to play more actively with King’s Pawn openings. (The jury is still out on that one.) What I need, I now think, is some kind of basic opening repertoire that would be solid, stable, and trustworthy, all while keeping me out of immediate opening peril and letting me set the initial terms of the game. This way I can spend more time working on my attacking skills and endgame play, and less time obsessing about opening preparation. I can add new variations as I go and as time permits, keeping the ‘solid’ lines as a baseline. Eventually, I decided to take up the Trompowsky against 1…Nf6 and the Neo-London against 1…d5. This decision was, in no small part, prompted by the new Trompowsky book by Richard Pert, previously reviewed on this site, and also by Henrik Danielsen’s new video on the London available from Chessbase. Steadfast readers will remember my admission of mixed emotions regarding chess databases, videos, etc. I find it hard to read books on the screen regardless of the platform, with the odd exception of fiction on an e-reader. (This difficulty may be changing, at least for chess books, with the introduction of E+Books; more on that in the coming weeks.) The study of individual games, however, is not too difficult, and opening work is in fact easier for me in Chessbase. I was therefore curious to test my reaction to videos viewed through Chessbase, and I thought Danielsen’s effort an interesting test case. Chessbase has, wisely, added a line of ‘60 minute’ videos to their avalanche of DVDs and digital downloads. The idea is that 60 minutes should be enough to cover a specific opening variation or, in two videos by Mikhailchishin, a strategic concept. 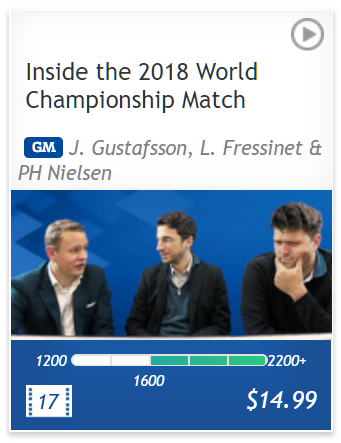 Most of the usual Chessbase authors appear in the series, and a lower price point makes up for the diminished content when compared to traditional Chessbase DVDs. I tend to think that this idea is a real winner for everyone involved. The price is better, the content is more focused, and busy players can spend their limited time learning exactly interests them. Danielsen’s video sketches a opening system for White after 1.d4 d5. There is no explicit coverage of 1…Nf6, save those variations where Black combines …d5 and …Nf6, and there are no Dutch lines, etc, so this is not a complete solution for players of the White pieces. Still, what Danielsen manages to explain in just an hour is rather impressive, even if – as I will discuss – I have a few quibbles. Danielsen’s fundamental premise in this video is that it is often advantageous for White to play 2.Bf4, thereby delaying Nf3. This approach, the so-called ‘Neo-London,’ was first advanced by Vlado Kovacevic in the 1980s, and has recently been championed by ChessPublishing’s Eric Prié before his current sabbatical from the site. (Kovacevic wrote a book on the London in 2005 with Svere Johnsen; see Prié’s less-than-thrilled review.) Prie’s analysis at ChessPublishing.com is stellar, and anyone wanting to play this system would do well to sign up there and study it. Black has two main moves: 6…Be7 and 6…Bd6. Danielsen explains White’s responses to both in such a way that, even were I to forget the concrete analysis, I would be able to navigate my way to a playable position and perhaps even an advantage. Danielsen makes good use of graphics on the board (arrows, colored squares) to illustrate his points, and he makes the ideas underlying his recommendations quite clear. Danielsen packs an admirable amount of content into his allotted hour. There are a couple of points, however, where he really should have offered viewers a bit more. Take the key position that arises after 1.d4 d5 2.Bf4 c5 3.e3 Nf6 (or 2…Nf6, 3…c5). 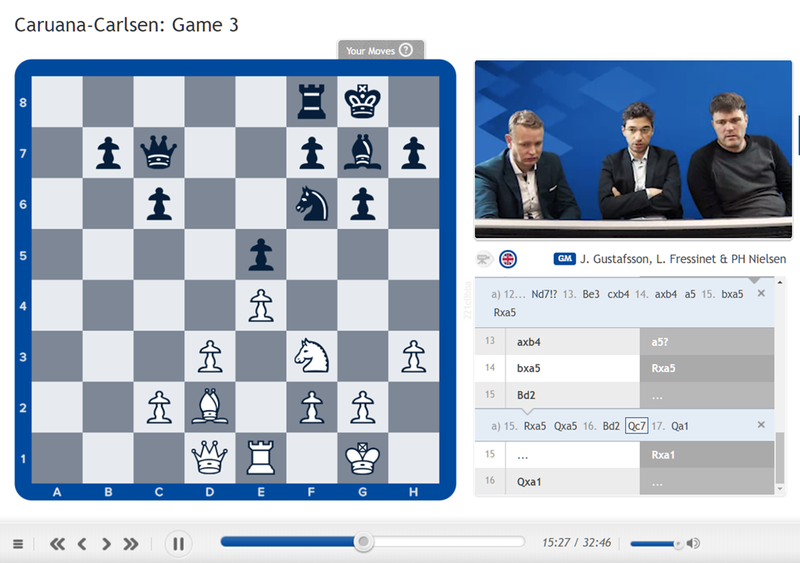 Danielsen recommends 4.Nc3! ?, a controversial recommendation to say the least. 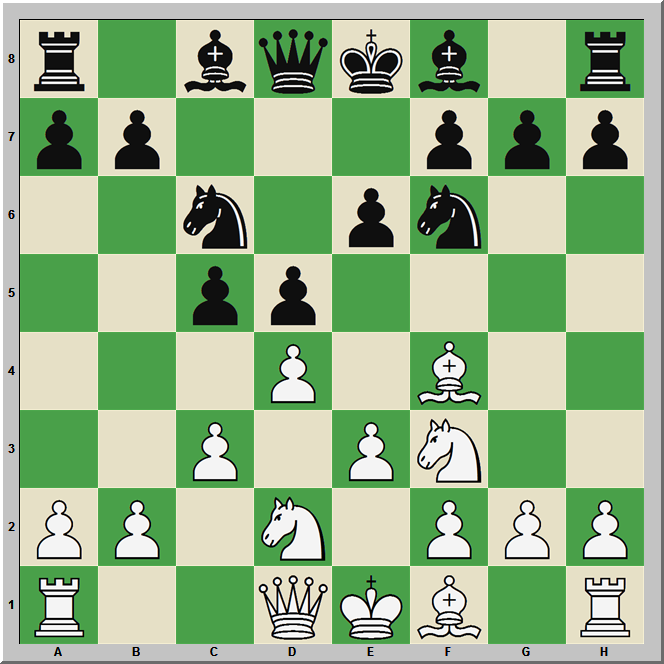 Johnsen and Kovacevic offer 4.Nf3 in their book, and Prié, for his part, rates 4.Nc3 as ‘? !’ and analyzes 4.dxc5 and 4.c3 at ChessPublishing. The analysis of 4.Nc3 in the video runs for roughly five minutes, covering up to move seven in the main line and move 10 in one of the variations. I’m not sure that this is sufficient coverage for such a central variation in the Neo-London, and I would really have like to have seen some additional analysis offered, even if only in a database file. More analysis in the attached database – or, better, additional analyzed games – would have improved this product. There is only so much that can be covered in an hour; even though Danielsen really packs a lot into that time frame, some additional study material would have been beneficial. My experience of the video was, generally speaking, positive. 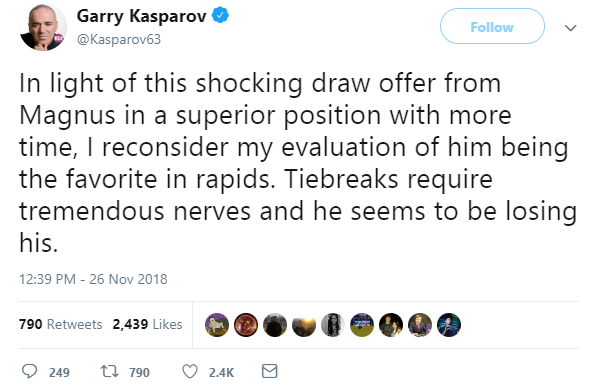 I was left feeling that I’d learned a lot, and that – after some additional analysis of a few positions like the one above – I could play the Neo-London with confidence. The real test of the video, of course, is in the results. How did I do in my games? The answer is: surprisingly well. My OTB (slow) rating right now is 1731 USCF. In rated USCF quick and blitz games, my score with the Neo-London is roughly 80% against players from 1300-2000. In three standard games, against players averaging roughly 1875, I am at 1.5/3. The most recent of these games was a draw against former Nebraska State Champion Joseph Knapp, and I offer it (with light notes) below. Practical results aren’t everything, but they are something. We study chess because it’s beautiful, but also because we want to win. Danielsen’s video gave me another weapon in my arsenal to help me win, and along the way, I think I learned about the game and its nuances. Seems well worth the price of admission to me. This entry was posted in Openings, video and tagged 1.d4 d5 2.Bf4, Chessbase, Henrik Danielsen, London System, Neo-London on October 31, 2013 by fullcityplus.